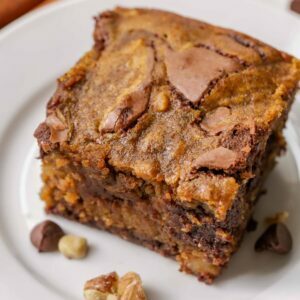 The yummiest Pumpkin brownies you will ever taste! Pumpkin, chocolate, and spices unite to make one pan of deliciousness that will sure to satisfy anyone’s pumpkin addiction. 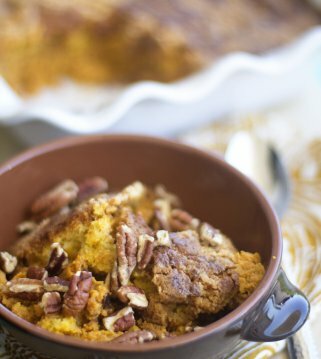 I am going crazy for these pumpkin brownies this year! 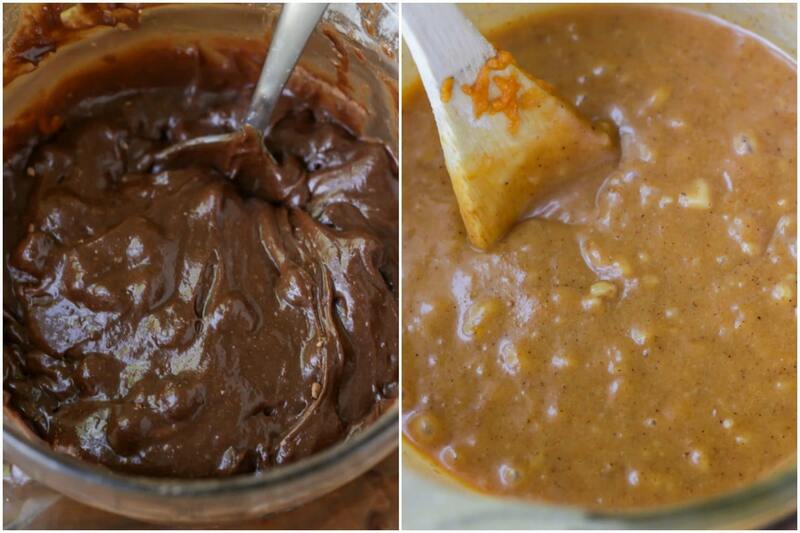 Pumpkin + chocolate + fall spices = my heaven on earth. 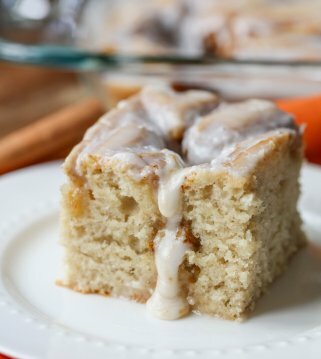 I guarantee your house will be filled with the most amazing scents when you are baking up a batch of these yummies. 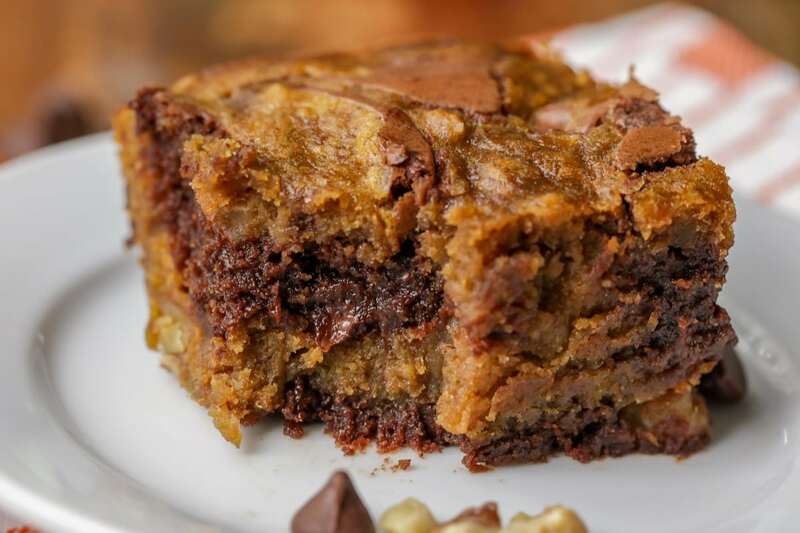 Plus these pumpkin brownies from scratch are super fun to make. You get to do a little swirlin’ and whirlin’ with the brownie batter. 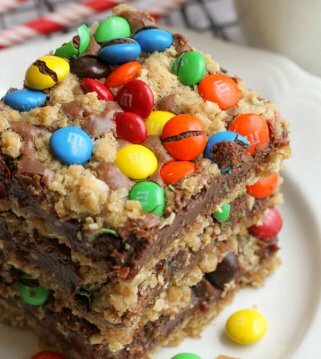 That’s what makes these brownies so beautiful. 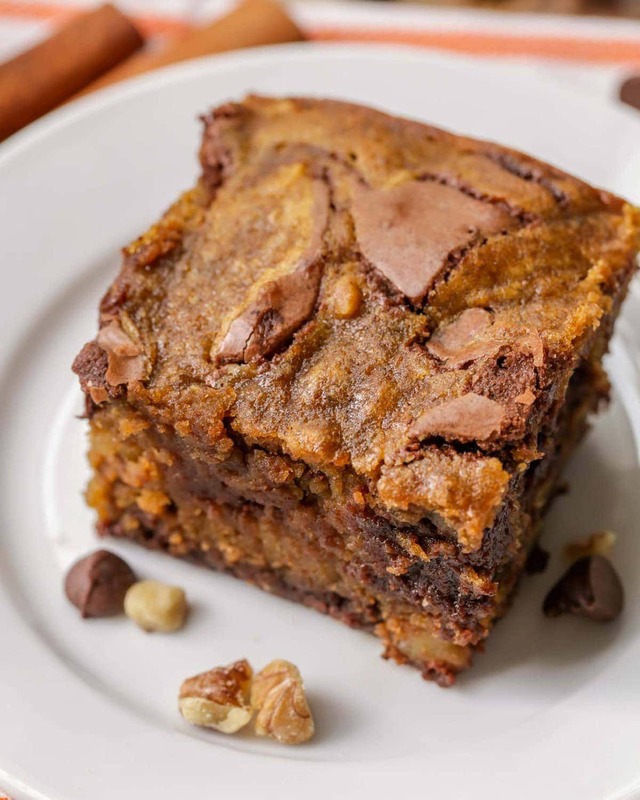 I also love the different textures in these brownies- walnuts, chocolate chips, pumpkin puree. It’s all so delicious. Start by preheating your oven to 350 degrees and grease an 8×8 inch baking pan. Then, combine your dry ingredients in one bowl – flour, baking powder, and salt. In a separate bowl mix together the melted butter, sugar, and vanilla. Mix in the eggs one at a time. Combine your dry ingredients with the wet ingredients. Then divide the batter evenly in two bowls. In one bowl, stir in chocolate chips and cocoa powder. In the second bowl stir in the pumpkin puree, walnuts, cinnamon, cloves, and nutmeg. 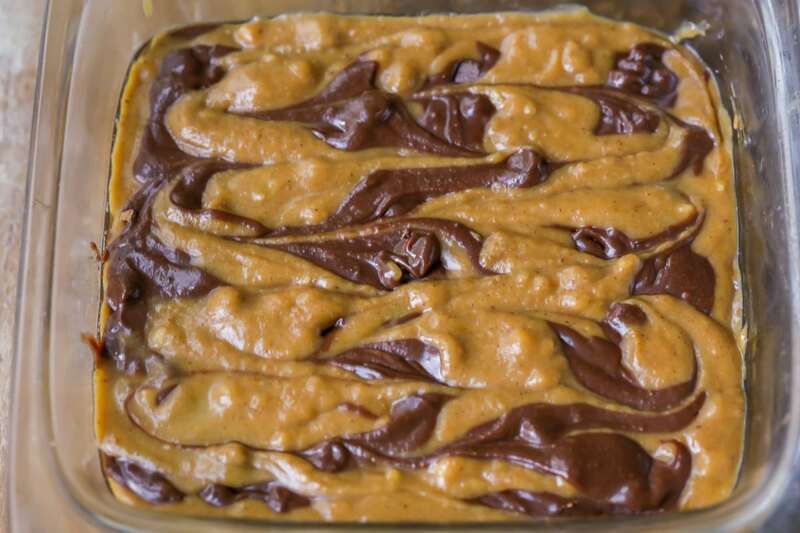 Then comes the swirling – Take half of the chocolate batter and spread it onto the bottom of your baking pan. Then spread one half of the pumpkin batter on top of that. With the remaining two batters, drop dollops evenly into the baking pan. Take a kitchen knife and drag it gently through the batter to create a swirled top. Pop the pan into the oven and bake for 45-48 minutes. Did I mention how yummy your house will smell when these are cooking? The smell of chocolate, pumpkin, and fall spices will fill your house and make everyone come to the kitchen to see what’s cooking! Enjoy!! 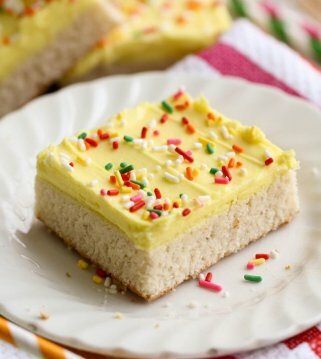 Do you have to use nuts in this recipe? Of course not! 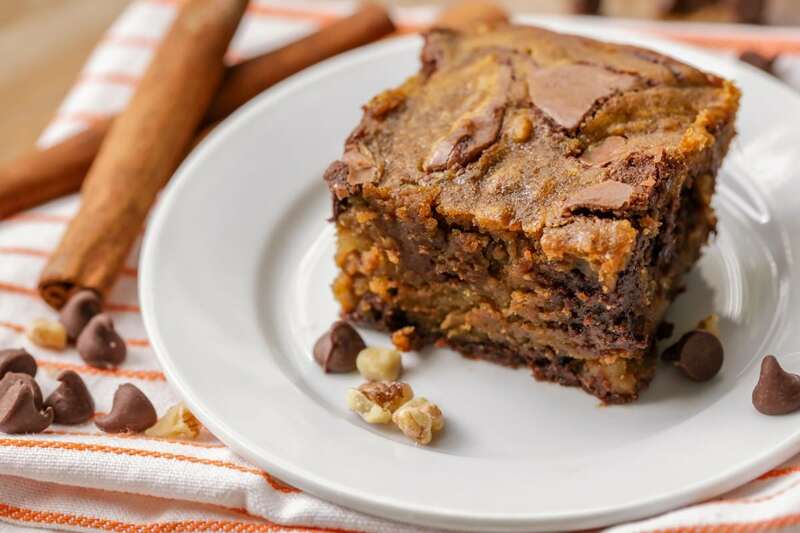 We love walnuts with these Pumpkin Swirl Brownies, but you can definitely leave them out. 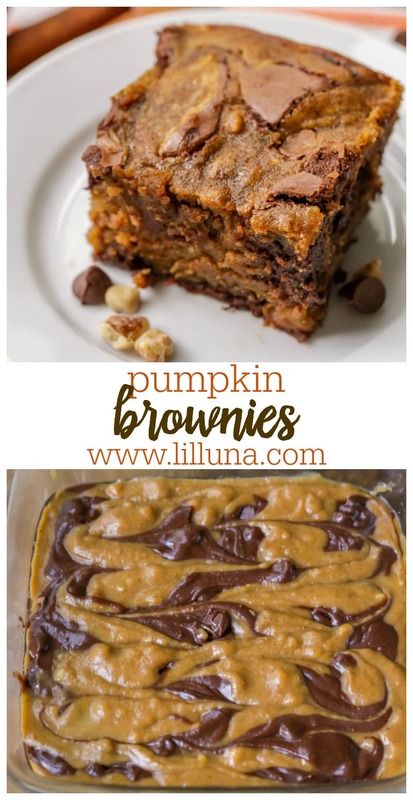 The Yummiest Pumpkin Brownies You Will Ever Taste! Pumpkin, Chocolate, And Spices Unite To Make One Pan Of Deliciousness That Will Sure To Satisfy Anyone's Pumpkin Addiction. Spread 1/2 of the chocolate batter into the bottom of a greased 8x8 baking pan. Spread 1/2 of the pumpkin batter on top of that. You are so welcome!! I agree with you! Thank you! This item making me hungry 🙂 Cannot wait anymore to try out it. 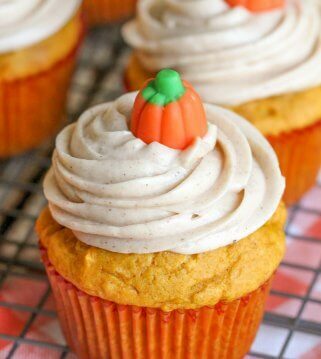 You had me at pumpkin! 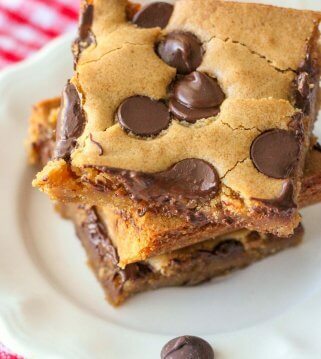 Totally heading into the kitchen to make these right now! Yay!! I hope you like them!! I agree! It’s the best combination! Thank you!! This looks amazing! Will make it this weekend!! I’d love to know what you think when you try them!! I hope you like them! I love this kind of the pumpkin brownies. Me too…they are the best! Thanks!